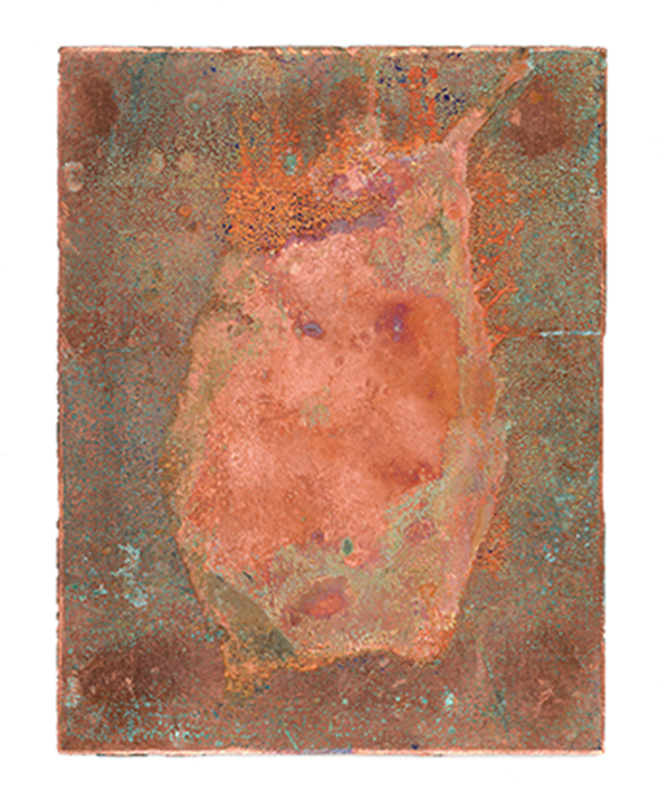 The breath of a series of individuals was captured on a shiny copper surface and then etched to create a negative of the breath where it sat on the copper plate. The result is a series of evocative landscapes. 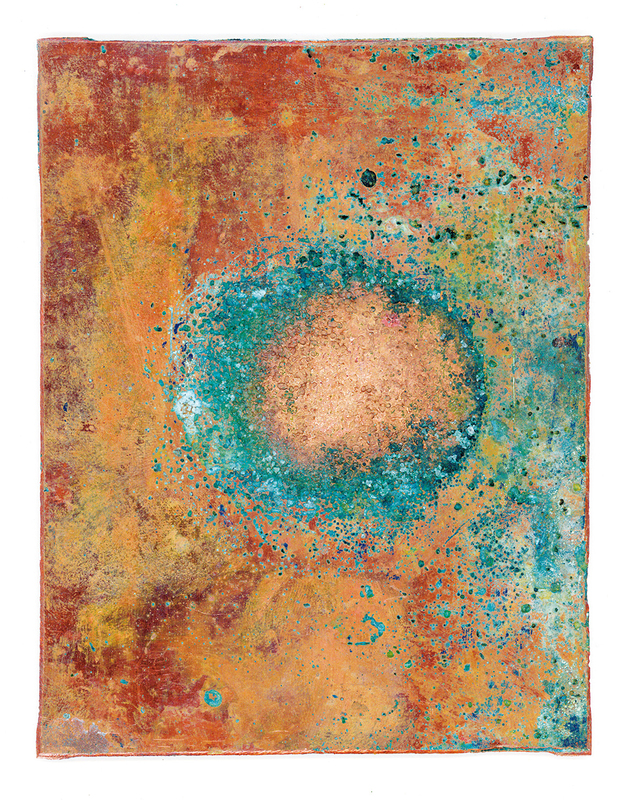 This work employs and yet subverts traditional printing processes. The inscription of spent breath onto precious metal immortalises a discharge and presents an alternative to portraiture.